Product packaging is a powerful form of marketing. Some food companies advertise their products as healthy, when in fact, they are not. Many Canadians find nutrition labels difficult to understand, and they want fast information to help make healthy food choices when they are shopping. Food companies market their products as ‘healthy’ by highlighting one or more positive attributes on a product package, such as ‘high in fibre’, or “fat-free”. However the same product may also be high in sugar, sodium, and/or saturated fat. To further complicate things, in recent years, numerous front-of-pack “nutrition symbols” or food rating systems have also surfaced. This makes it even more confusing for parents and children. Thankfully, Health Canada is considering new measures to strengthen food package labelling and claims. In particular, Health Canada is proposing to require food companies to show highly-visible, simple, intuitive warning labels for foods high in sugar, saturated fat, and sodium. 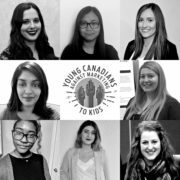 The Stop Marketing to Kids Coalition (representing twelve non-government organizations) urges you to support the introduction of robust Front-of-Package (FoP) nutrition labelling, as a part of Canada’s Healthy Eating Strategy. This comprehensive and integrated public health strategy has the potential to significantly improve the nutritional health of Canadians. “It could be another 30 years before we get this kind of opportunity again,” says Heart & Stroke’s Director of Health Policy and Advocacy, Manuel Arango. 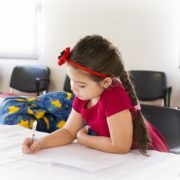 It’s time to act now and give kids a better chance at reaching their full potential. Sign a letter urging the federal government to introduce robust front-of-pack nutrition labelling. Our children and youth are bombarded with ads for unhealthy foods and beverages all day, every day. These ads are influencing their food and beverage choices, and having a devastating effect on their health. 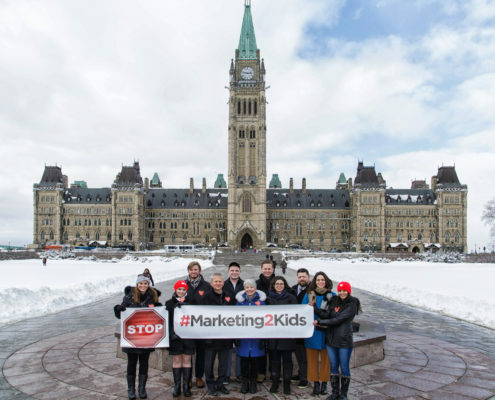 This Valentine’s Day, we met with more than 60 Members of Parliament and Senators to discuss the dangers of marketing to kids at Heart on the Hill. The case for ending the onslaught of food and beverage marketing is crystal clear. 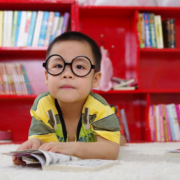 New research found children are exposed to 25 million food and beverage ads a year on their favourite websites. Over 90% of products viewed by kids and teens online are unhealthy – high in salt, fat and/or sugar. It’s time to protect our children and support parents. 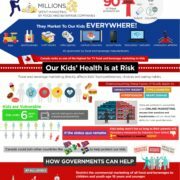 Canada must restrict food and beverage marketing to kids. Read the Heart & Stroke 2017 Report on the Health of Canadians for more information about how you can get involved. Editor’s Note: Heart on the Hill is an annual event hosted by the Heart & Stroke Foundation. On February 14, 2017, Members of Parliament, Senators and staff were invited to attend a Valentine’s Day reception. Members of the Canadian Cancer Society, Food Secure Canada, the Canadian Dental Association, and Diabetes Canada attended the photo-op on parliament hill and evening reception. Discussions with Members of Parliament and Senators focused on children’s health, and the dangers of marketing to kids and sugar-sweetened beverages. As a registered dietitian and mom of three, my hope is to raise healthy, happy and mindful eaters, and to help nurture their relationships with food in a positive way. I want my kids to be able to strike a healthy balance between nutrition, and pleasure when it comes to food. Believe me though, I’m no stranger to food-related power struggles, which helps me to relate to my clients and readers who include parents who are trying to navigate the tricky world of feeding kids and picky eating. I was thrilled to see that this year’s Nutrition Month theme is “Take The Fight Out of Food”, a campaign dedicated to supporting Canadians to stop their struggles with food (one of which is picky eating) and seek help from a dietitian. This is a very common issue in households, not only because kids are trying to assert their independence and gain some sense of control with food, but also because there are so many external factors influencing their food preferences and requests including marketing to children. Just the other day, my son asked me if we could buy juice boxes at the grocery store because he saw an ad with a child reaching for one in a school cafeteria on TV. If feeding young kids wasn’t challenging enough, food ads targeted at kids are setting families up for failure in the nutrition department. Good nutrition is critical to our kids’ health. Risk factors for premature heart disease, stroke and diabetes are at an all-time high, not to mention the fact that almost one in three kids have excess weight or obesity. My kids have a leg up in this department, having a mom who is also a pediatric dietitian. But what about other kids? The food landscape is changing in Canada. In fact, it’s the first time in history that some kids’ diets have been dominated by unhealthy, nutrient-poor, processed foods and beverages for their entire lives. Because chronic diseases represent the largest share of our direct healthcare costs – an estimated $68 billion annually – this should be a concern for all Canadians, not just parents. 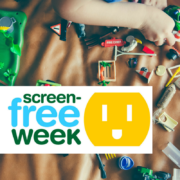 I try to limit my older kids’ screen time to no more than about an hour per day, but even so, they will be exposed to four to five food or beverage ads during that hour (just like the juice box commercial that my son watched!). 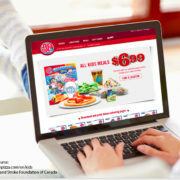 Even more shocking, kids see over 25 million food and beverage ads a year on their favourite websites, and over 90% of these ads are unhealthy. Because they are still young (6 years and under), they’re likely not able to understand the persuasive nature of food adsi, however I can see that something is triggered in my oldest son’s brain when he watches an ad for sugary cereal or fruit snacks. Whether it simply piques his interest: “Mom, can we buy this at the store?”, or a triggers a sudden—and likely false—sense of hunger: “Mom, I’m hungry!”, it most certainly has an effect, and might even influence his eating habits long term. For most families, there are several factors at play when it comes to eating habits—access to healthy foods, nutrition knowledge, cooking skills and financial limitations. 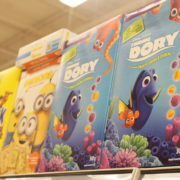 And, it’s no surprise that marketing unhealthy foods to kids can influence parents purchasing habits too. Let’s be honest—when a parent is grocery shopping with kids in tow, it’s a lot easier to dodge a meltdown and give into a sugary granola bar request than not. And marketers are well aware of how strongly kids drive family grocery purchases, and they also know that these kids will potentially become life-long purchasers. 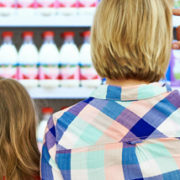 What makes matters worse—especially for kids and families who struggle financially—is the fact that the easiest, most accessible and heavily marketed foods and beverages are often the most nutrient-poor and calorie-dense. In fact, these products are now 60% of the average family’s food purchases. Parents are doing their best, but unfortunately our food environment is working against them… and their kids. Most Canadians share my concern with unhealthy food and beverage marketing to kids and are ready for change. The change certainly needs to happen at home, with parents nurturing healthy eating habits and positive relationships with food. However, the biggest change of all needs to happen at the government level, to stop the marketing of unhealthy foods to kids, which would surely help parents in their efforts to raise healthy and mindful eaters. We all need to step forward and support the Stop Marketing to Kids Coalition efforts and pledge to ‘Take the Fight out of Food’ this March during Nutrition Month. Visit www.nutritionmonth2017.ca for details.